While they’re thankfully a dying breed these days, the cowboy builder is still capable of striking when you least expect it. Notoriously bad at the job and a law unto themselves, cowboy builders can leave you with a mess of a job and an empty bank account. With this in mind, we’ve got some tips on how to spot a cowboy builder and prevent them from causing any further damage to either your property or your finances. The first warning sign should be the fact that the job you want to be done seems far too cheap. Sure, it might seem like a good idea to go with the cheapest possible quote but can you trust the trader to do a good job? A job done cheaply is likely to be a job that will need to be paid for twice, you simply won’t get the craftsmanship and expertise that you need in order to get a great finish that you’ll be proud of for years to come. So, if the quote you receive back from the builder seems too good to be true, unfortunately, it probably is. Do they have a website? If so, are there any references from previous customers? Are they listed on any directories with comments or reviews? If the answer to all is no, then the cowboy builder alarm bells should be ringing loudly in your head. If work has already started, then consistently poor timekeeping is another sign. Even the professional builders can sometimes be held up on another job or stuck in traffic but a builder who has little regard for when they start or how long they stay on the job for is likely to string the job out – bad news if you’re paying by the hour or day. By this time, it’s usually too late. A cowboy builder might leave nails sticking out, doors and gates not hung correctly or just leave the area generally untidy – all of which can be filed under shoddy workmanship. A cowboy builder is likely to leave a job or two for you to finish after leaving. Forcing you to fix it yourself or pay someone else to finish the original job. Health and safety regulations are a big deal these days, you can’t even step onto a work site without adhering to numerous rules and codes. If your builder is clearly showing a blatant disregard for standard health and safety laws, then it’s likely that they’re chancing it and trying to make a cheap buck at yours and your home’s expense; as well as their own safety. This article was written by a subject matter expert from the Thomson Local team. We also welcome guest contributions from external writers. 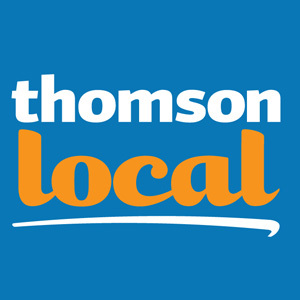 If you would like to get involved in the Thomson Local blog just send us an email to: writeforus@thomsonlocal.com.